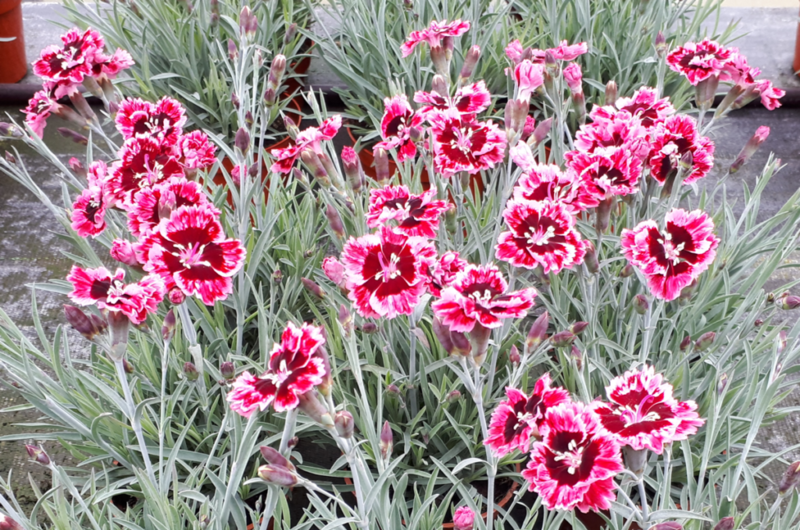 There may be heightened interest in the Royal Family’s charity gardens at RHS Chelsea this year, but there is also an exclusive from Perennial Royalty at Lovania Nurseries: Dianthus Cherry Burst. 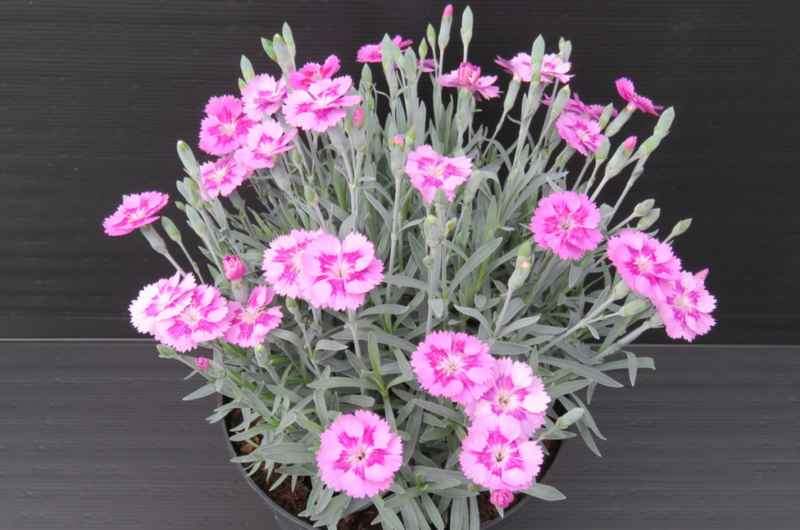 Headlining Lovania Nurseries’ exclusive new Dianthus range, available from the end of May in garden retail, this is a Dianthus with a difference. Its unique grey-green foliage adds an extra silvery leaf shimmer to its already head-turning flower impact. Deliciously sweet-scented single flowers on shorter 15cm stems feature bold maroon centres encircled by and blended with a lighter pink border. It’s a true triple threat, right from the start: From its chocolaty buds, opening into striking first blooms and then continuing to flower repeatedly from May to September. 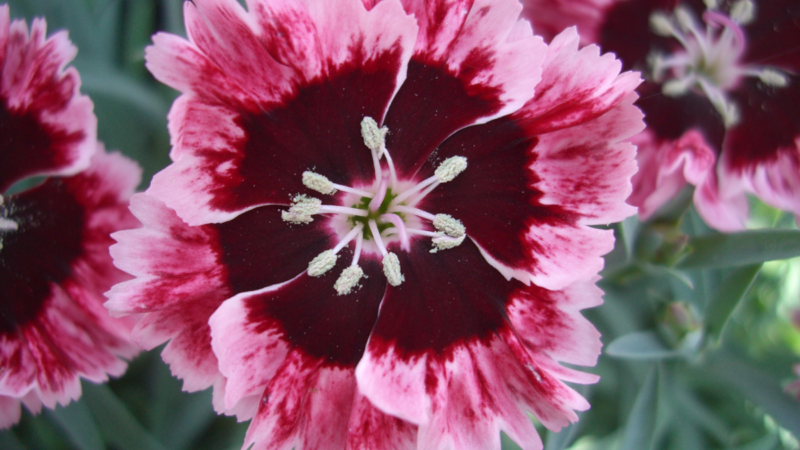 British-bred by Whetman Plants International, fully hardy and compact, this long-flowering option offers a welcome burst of cherry-red for borders, patios and beds and would make a great gift idea, too. 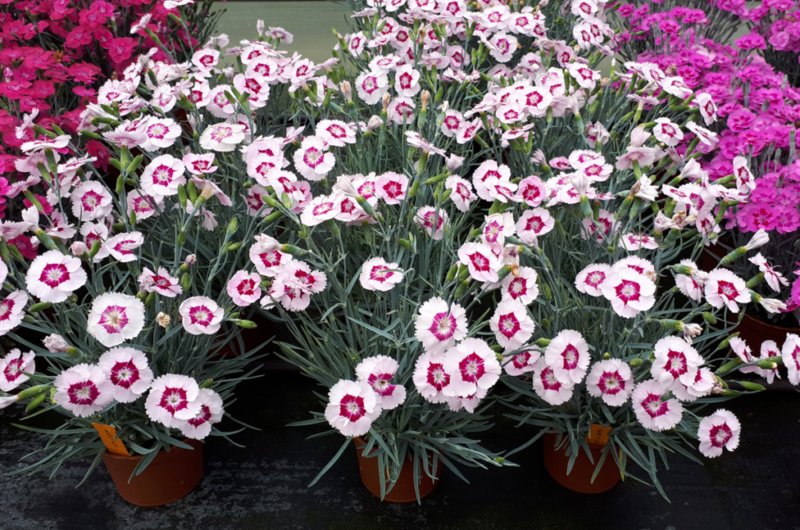 Dianthus Cherry Burst will stand bold and proud at RHS Chelsea this May and will provoke a high level of consumer interest for Summer sales in 2019 – available exclusively from Lovania Nurseries in 1 litre pots from the end of May 2019. 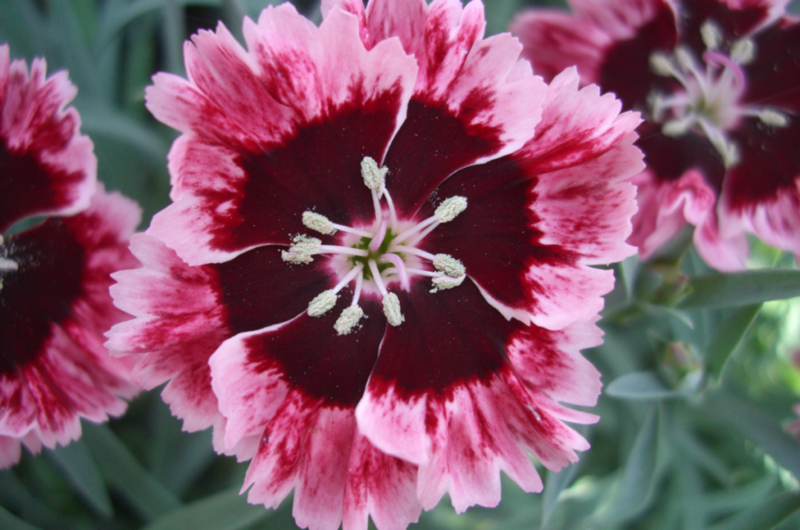 Just as stunning and with equally delicate single flowers on the shorter 15cm stems for compact hardy borders, Dianthus Aztec Star has light magenta flowers with striking contrast at their centres with a dark magenta star-shaped eye. A hint of clove in its fragrance, shimmering grey foliage and repeatedly flowering from May to September, this stellar introduction is also available exclusively from Lovania Nurseries for garden retail sales from the end of May 2019. 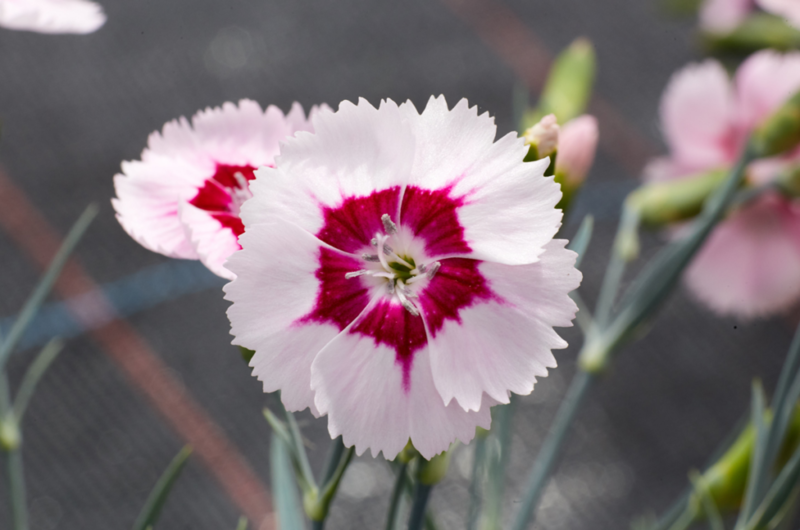 Completing this exclusive triumvirate of Dianthus this Spring, Dianthus Blushing Star offers an airier, lighter pink blush flower, turning ultimately to white but with each single flower punctuated by a dark magenta star shaped centre. 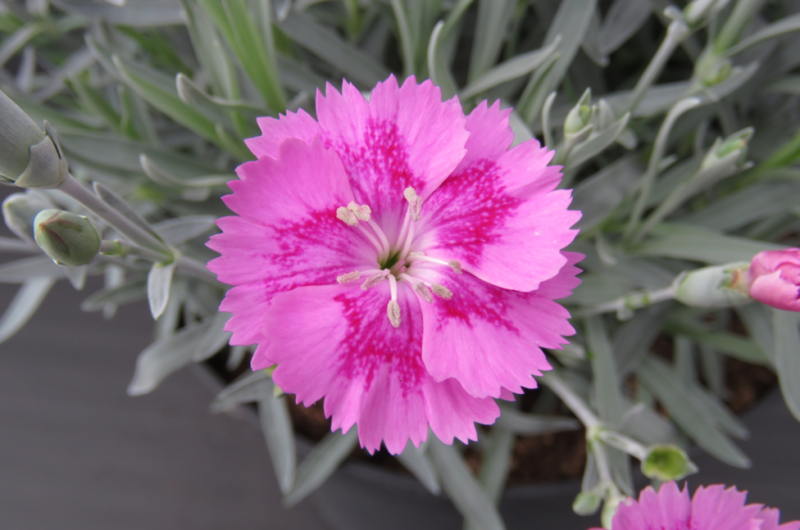 Sweetly-scented just like its darker flowering counterparts, Dianthus Blushing Star adds an extra dainty option to border, patio and beds this Summer. Available exclusively from Lovania Nurseries from the end of May 2019. Contact your Lovania Sales Representative directly or call the Lovania Sales Team on 01772 817942, or email sales@lovania.co.uk for further details.